"Dr. Barry Moorhead and his team are phenomenal. They are very professional, welcoming and really went above and beyond to make sure my dental experience was great and that my dental needs were met. I have been through my share of terrible dentists (and experiences), but this is not one of them... I'm so glad I can finally say "I have a dentist". Thankful to have found this place. Highly recommend!" "Wonderful dental experience. Staff is great. Dr Moorhead has a lot of integrity. I never feel like he is pushing his own agenda. One of the first things I noticed when first becoming a patient was a huge reduction in cavities compared with my previous dentist. I trust him a lot and would highly recommend trying him out if you live in the area." "From the front desk to Dr Moorhead and his hygienists, they are all very professional, friendly and helpful. As you are getting a cleaning or any other procedure, they try to elaborate on what they are doing and why they are doing it so you get a better understanding of your dental health. I had to move forward with a implant/crown that was on my front tooth six years ago and I was extremely concerned on how the end result would turn out and if the color match would be consistent with my other teeth. Dr Moorhead was truly amazing, he pays attention to detail and is a perfectionist!! Kudos for this practice!!!" 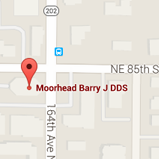 "Barry and his staff are incredible.... friendly knowledgable and they actually make a dental visit very pleasant. Barry is great about finding out what you want to accomplish and what you need to have done... And most importantly he is smart about Insurance coverages and how to best manage the costs of anything. He is honest about everything and won't push any unnecessary treatments or anything that you don't actually need. It's refreshing to have that feeling of comfort and trust with a dentist, so I'll be sticking with him for a long time. Definitely recommend!" "I have been a client of Dr. Moorhead for over 10 years and each encounter with his clinic has been exceptional! 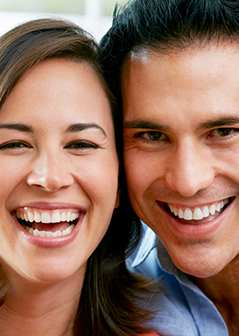 Dr. Moorhead and his staff have consistently maintained a welcoming and professional environment. From both my experience and observation, the staff conduct themselves with a high level of integrity while placing a strong emphasis on patient satisfaction. Dr. Moorhead has remarkable intuition and the ability to communicate his clinical decision making in a clear and concise manner. Without any reservation, I would strongly recommend Dr. Moorhead and his staff to serve your family and aesthetic dental needs!" "My husband and I both have been going to Dr. Moorhead for more than 5 years. He has brought my mouth back to perfect health and is comforting and gentle while being thorough. His staff is friendly and professional. I love going here."